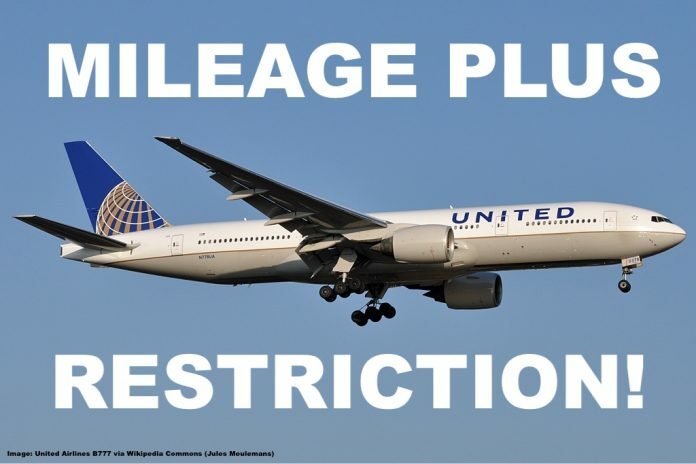 A couple days ago I wrote about United Mileage Plus restricting members from redeeming miles on Singapore Airlines or Thai Airways until further notice. I mentioned in my article that I filed a complaint with United and also requested background information and both inquiries have been responded to by United. You can access my previous article about this topic here where I outlined my problems when trying to book an award ticket using my Mileage Plus miles from Bangkok to Bali on either Thai Airways or Singapore Airlines. As United always displayed an error message I called them up and was told United has currently restricted bookings on both of these carriers (and apparently as per reader emails also on TAP Air Portugal). I wasn’t able to get my award ticketed so I decided to transfer 20,000 Amex Membership Rewards to Singapore Airlines and book it that way. KrisFlyer was a bit cheaper in miles but they do charge fuel surcharges on certain partner airlines. I contacted United in two different queries to probe this situation further. 2) I requested compensation from Customer Relations for having to waste my Amex points in order to get this flight ticketed after piling up miles with Mileage Plus during the past year. Thank you for contacting united.com Web Support Desk. I apologize for the delay in this response to your e-mail correspondence. We’ve received reports of issues with flight availability when booking award travel on Star Alliance partner Thai Airways (TG). Flights booked in award classes are coming back reflecting unconfirmed after completing the booking. TG has identified a technology issue on their side and is working to resolve the issue. Although, you will continue to see award availability for TG, bookings are prohibited until further notice. We apologize for the inconvenience this may have caused. We appreciate your e-mail and thank you for your patience while we work with our Star Partner to resolve this issue. Why is this technology issue only affecting United while other Star Alliance carrier are able to get the awards ticketed? And what about Singapore Airlines and TAP? This answer stinks and doesn’t really provide a plausible explanation for anything. We regret the inconvenience and added expense you incurred due to being unable to book award tickets on Singapore and Thai Airways. It is a glitch that is being worked on, but unfortunately we don’t have a fix time as of yet. I am unable to reimburse you for the taxes you spent on your upcoming ticket you booked with your American Express points, however as a goodwill gesture I’m adding 10,000 bonus miles to your account. You can expect to receive them within 24 hours. Thank you for your continued support and loyalty as a Premier Gold. The points have already been credited to my United account. I think this is a fair compensation considering I had to burn my Amex points which as a very universal currency I like to touch only as the last resort or in case there is a really attractive award out there with one of the partners. Basically no proper explanation or timeline provided by United when this issue will be resolved. To blame a technology problem which can really be anything is quite convenient but I don’t see why this would affect only one carrier if in fact Thai was to blame for this. Sounds more like the issue is on United’s side. Should you incur damages / expenses as a result of this situation I encourage you to claim those with United customer care just like I did. Keep in mind I was able to provide them a receipt so a random shot without verification won’t result in any compensation.